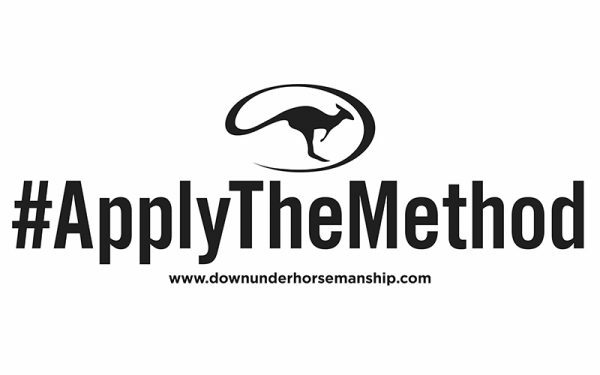 Get an #ApplyTheMethod trailer decal to take part in our downunder.horsemanship Instagram contest! If you love the Method and like sharing your passion for it, don’t miss out on our #ApplyTheMethod contest taking place on our downunder.horsemanship Instagram account! 1) Get a free #ApplyTheMethod decal. 2) Put the #ApplyTheMethod decal on your horse trailer. 3) Snap a selfie with the #ApplyTheMethod decal. 4) Post the photo to your Instagram using hashtag #ApplyTheMethod. It’s that easy! We’ll select winners throughout the month to receive awesome prizes! Winners will be announced and featured on our downunder.horsemanship Instagram. Be creative and have fun!